Mind Machines, a robotics team sponsored by Valador, wins Judges’ Award for Robot Design and Programming in the First Lego League State Championships held in Harrisonburg, Virginia. 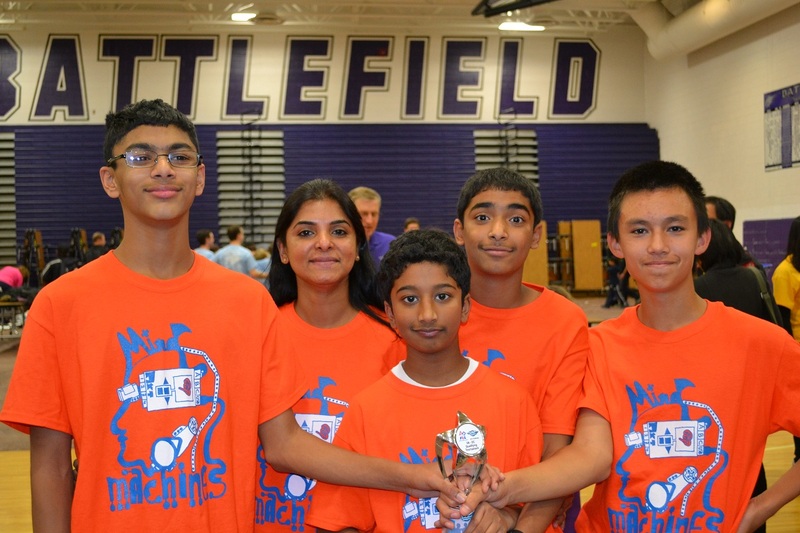 Mind Machines robotics team is comprised of four middle school team members, two coaches and one assistant coach from Chantilly, Virginia. 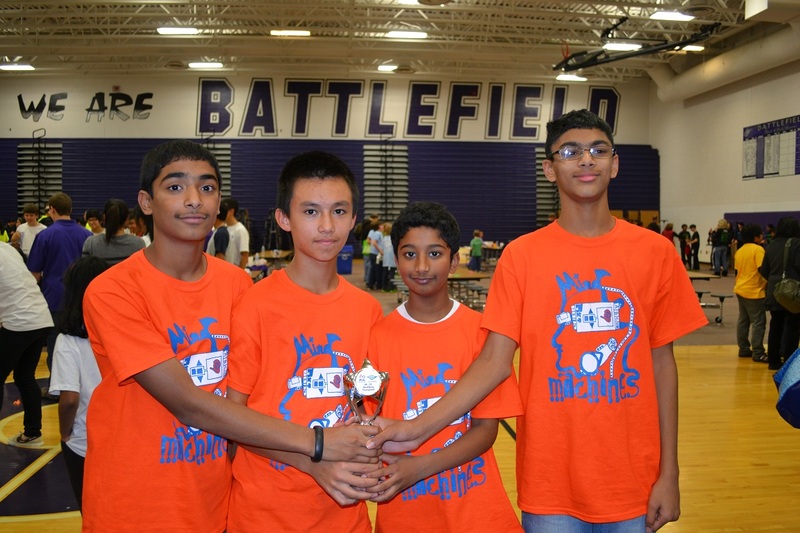 The team members are Thomas Chemmanoor, Nathan Stroh, Pranav Yanambakkam, and Anshul Chimaladinne. The coaches are Paul and Salija Chemmanoor and the assistant coach is Nagaraj Yanambakkam. 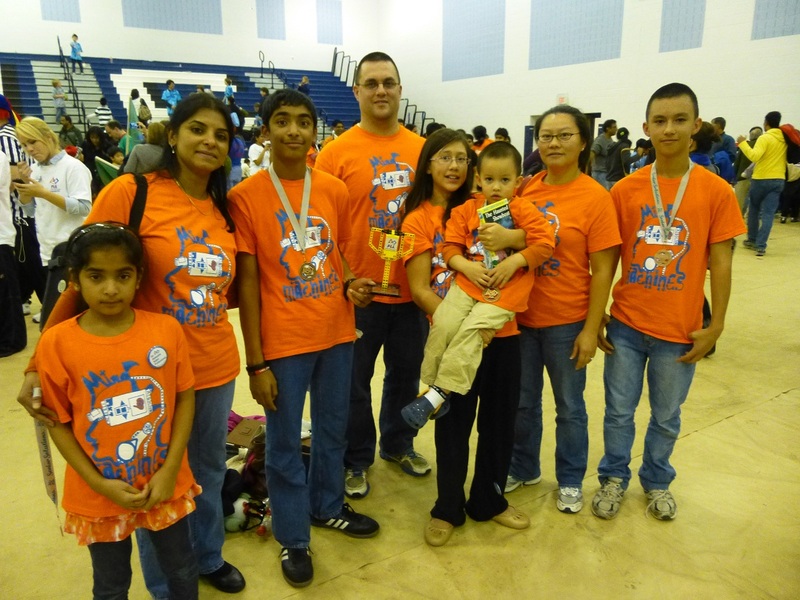 The team received a trophy and medallions for each team member to commemorate their achievement from the competition. 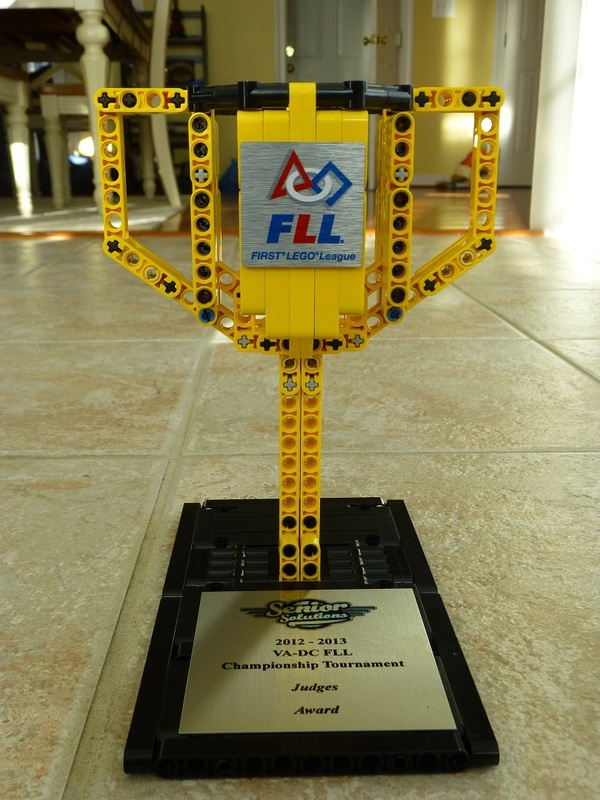 FIRST LEGO League (FLL) is an international program for 9 to 16 year-old children (9 to 14 in the U.S. and Canada) created in a partnership between FIRST and The LEGO Group in 1998 to get children excited about science and technology – and teach them valuable employment and life skills. Children work alongside adult mentors to design, build, and program autonomous robots using LEGO MINDSTORMS® technologies and create an innovative solution to a problem as part of their research project. After eight intense weeks, the competition season culminates at high-energy, sports-like tournaments. Like any other organized “sport,” teams also fundraise, create a team identity, and go on field trips. Children and their coaches from 96 teams gathered at the event, held at Harrisonburg High School, to celebrate science and technology and present their Biomedical Engineering solutions as part of the FLL “Senior Solutions™” Challenge. All the teams in the competition were required to come up with a solution that will better the lives of senior citizens. The competition was judged in four areas: project presentation; robot performance; technical design and programming of the robot; and teamwork, with a consideration of the FLL Core Values. The Mind Machines’ robotics design concept was to minimize polypharmacy while detecting early onset of Alzheimer’s. The team wrote a software program that was combined with a pill dispenser and a display. The program dispensed the correct dosage of medications to the senior citizens at the correct dosage time while delivering simple math or language based tests that have proven to detect the early stages of dementia. The smart pill dispenser program consists of an intelligent assistant to generate randomized simple math tests, record the speed at which the tests were solved, record the accuracy of the responses and transmit the recorded results from the tests to a community portal called “ElderBook”. Please view the videos with a browser that provides H.264 playback or Adobe Flash Player. Valador from Valador Inc on Vimeo.